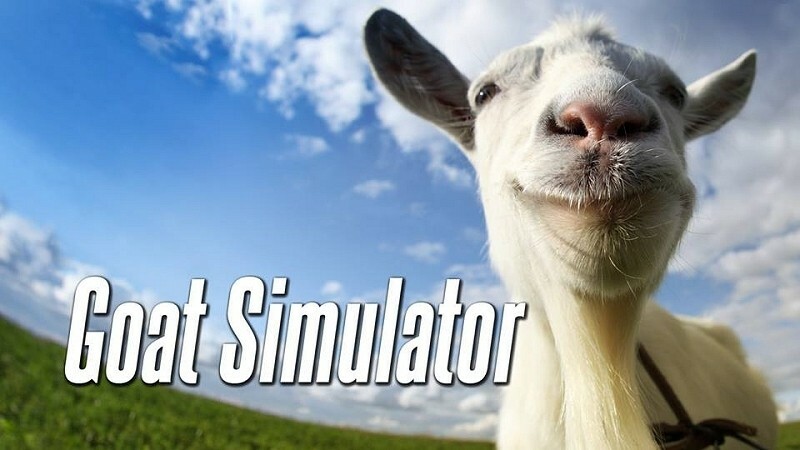 Goat Simulator – the perfect title for an April Fools’ Day prank – is set to launch on Steam tomorrow for $9.99. What started as little more than an online joke a couple of weeks ago soon picked up steam (no pun intended) and Swedish developer Coffee Stain Studios ran with it. The end result is a game that is small, buggy and stupid according to the development team. In fact, they encourage gamers to spend their $10 on something else like a hula hoop, a pile of bricks or maybe even a real-life goat. The physics and gameplay are rudimentary (you control a goat that rams into things as its primary method of attack / reason for being) yet for some reason, the Internet can’t get enough of Goat Simulator. Dig deeper, however, and you start to realize that this is actually a pretty in-depth title with plenty to discover. Once you grow tired of destroying things like cars, gas stations and footballs for the sake of being destructive, there are multiple Easter eggs to keep you busy. Raiding the studio’s in-game studio to play a copy of Flappy Goat and using more than one method to defy gravity are just a couple of things you can do – sorry, I don’t want this to be too much of a spoiler. For the goal-oriented among us, there is a points system that awards you for destroying things and even a combo system to help ratchet up your score. Challenges, meanwhile, ask you to try and pull off certain feats like doing flips in the air or causing catastrophes. Again, you get rewarded with points but they really serve no purpose. Early reviews claim the title is loads of fun but once you do everything once, there’s really no replay value. Of course, that isn’t surprising for a joke of a game and is probably part of the punch line itself.